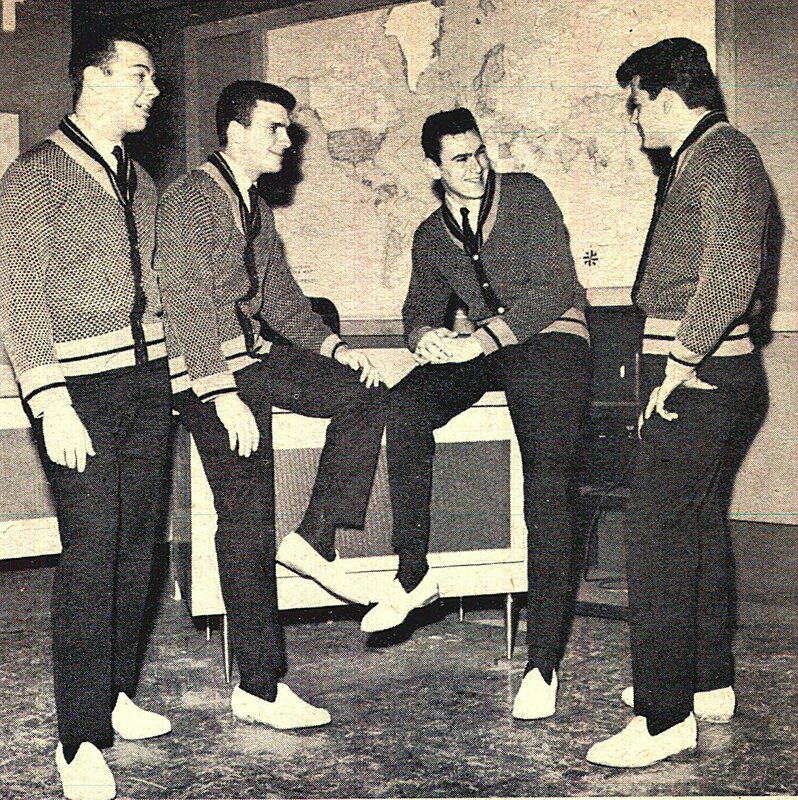 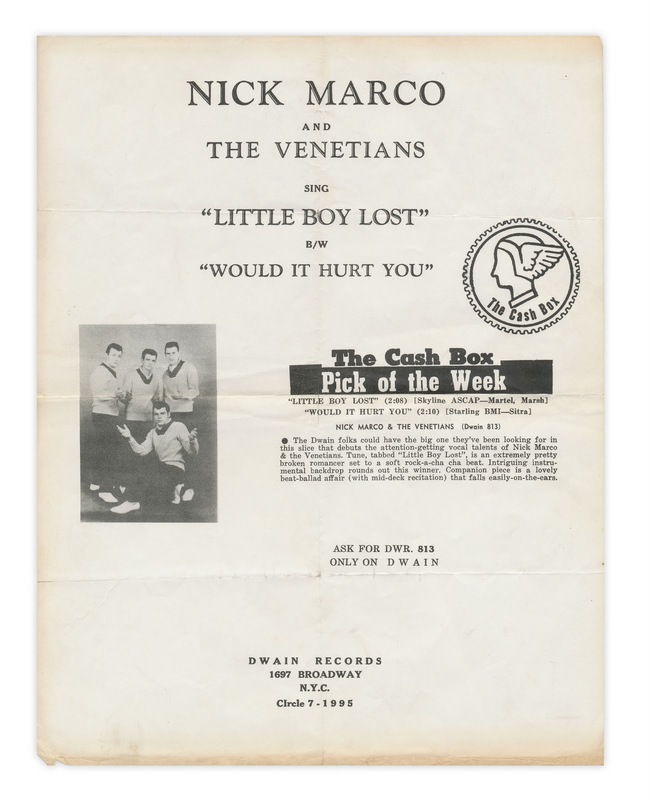 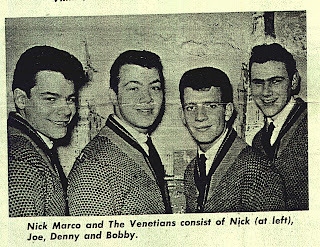 Advertisement for "Nick Marco and The Venetians" and their single "Little Boy Lost." 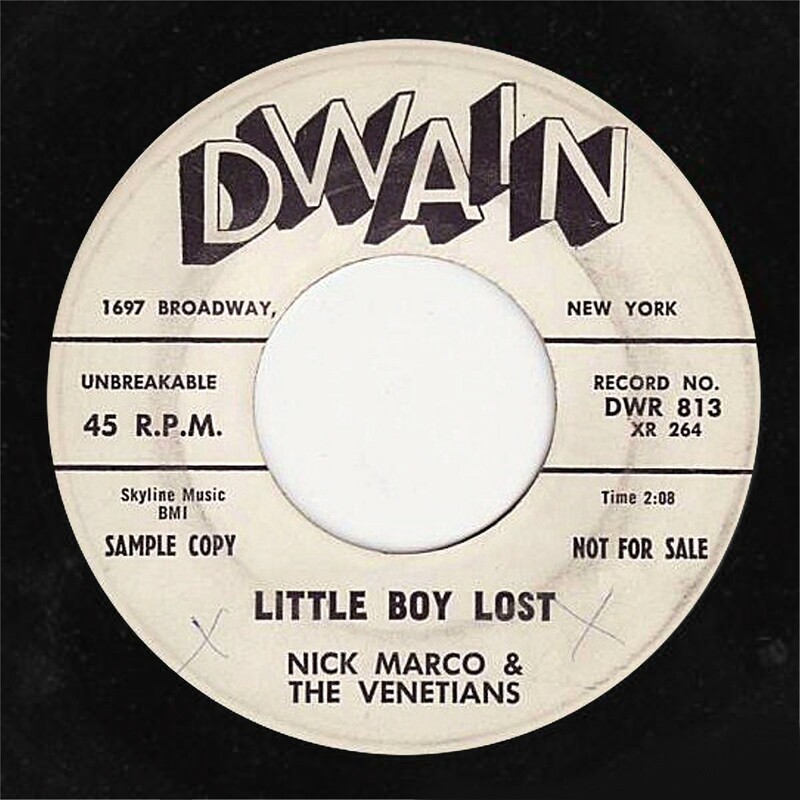 The Dwain folks could have the big one they've been looking for in this slice that debuts the attention-getting vocal talents of Nick Marco & The Venetians. Tune, tabbed "Little Boy Lost," is an extremely pretty broken romancer set to a soft rock-a-cha cha beat. 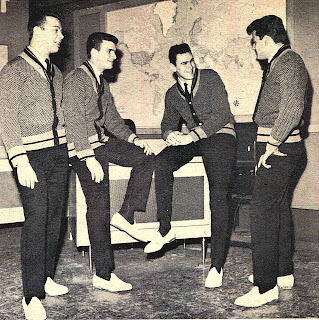 Intriguing instrumental backdrop rounds out this winner. 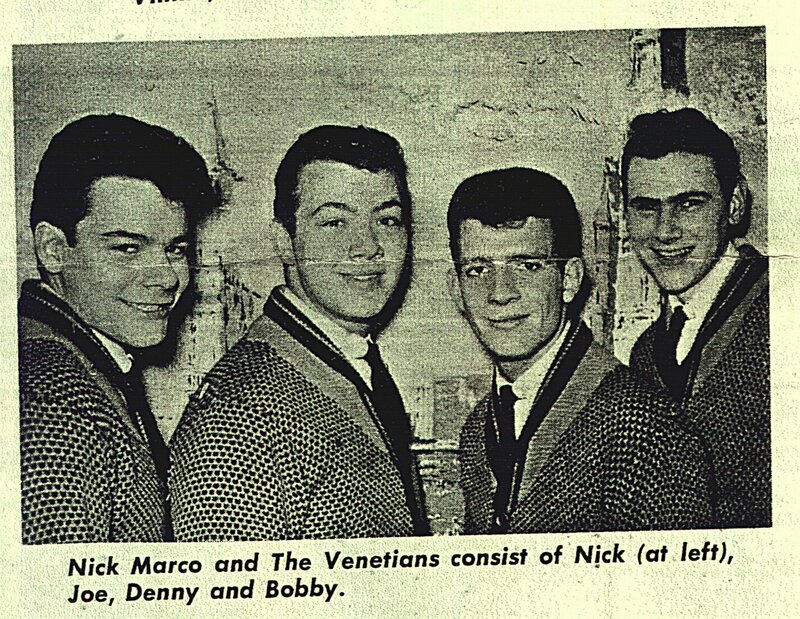 Companion piece is a lovely beat-ballad affair (with mid-deck recitation) that falls easily-on-the-ears. 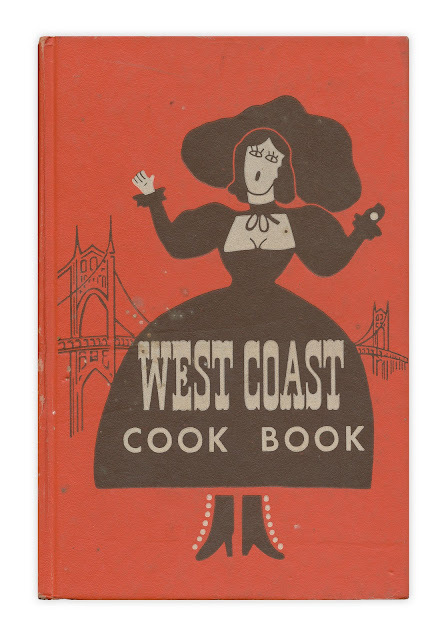 Found in "West Coast Cook Book" by Helen Brown. Published by Cookbook Collectors Library, 1952.